Restoring The Word is an ongoing ministry to provide Bibles and Bible based resources to groups and organizations on the front lines of evangelism and mercy ministries throughout the world. 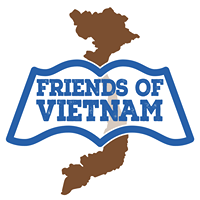 ​Our current Restoring the Word ministry partner is Friends of Vietnam. Friends of Vietnam is committed to sharing the Gospel both in Vietnam and to Vietnamese individuals and families throughout the world. By fostering friendship and understanding between Vietnamese and American cultures, Friends of Vietnam endeavors to connect more Vietnamese souls to the Gospel.